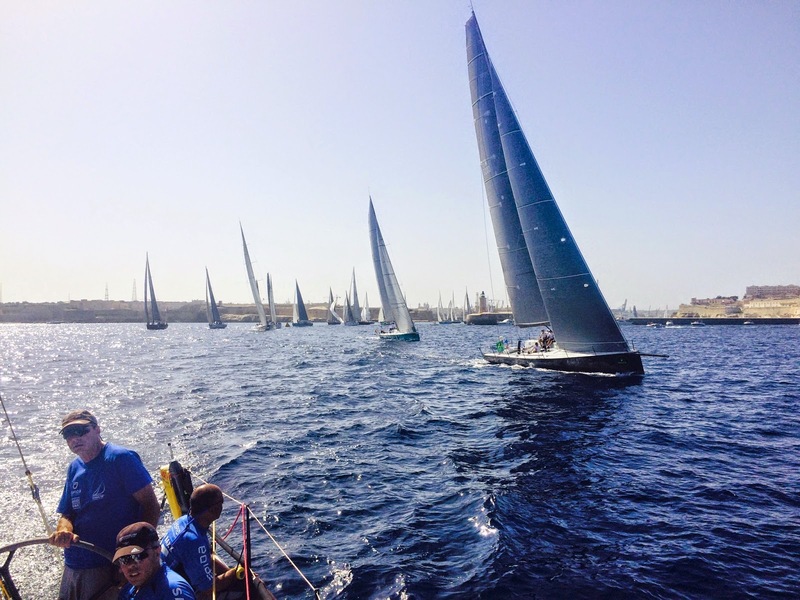 The start of the 35th Rolex Middle Sea Race got under way under perfect sunshine and blue skies. At 11:00, the slower yachts of class 5 started first, followed in 10 minute intervals by classes 4, 3, 2 and 1, a total of 122 yachts. Team Optimum monitored closely the first 3 starts and decided to position OPTIMUM 3-ASPIDA-SAXOBANK for a right end pin start. So, the Greek team managed to time perfectly the countdown and jumped ahead of the 24 fleet of class 2 yachts. “With clear wind ahead, we managed to extend and reach the first Rolex buoy first in our class 2 start with B2 and BALEARIA closely on our heels, sending the message to all that we mean business. Few miles down the Maltese coastline and after a fierce tacking duel we were happy to round the last Rolex buoy just behind the two much faster yachts mentioned above and head for Capo Passero, the SE tip of Sicily. That proved to be a tight reach and yachts with Code 0 sails got the upper hand and extended ahead. We tried to hold on with them with A1 and later when the wind got stronger with A3 spinnakers and reached Capo Passero still in the mix of the leading boats. Once there, us and few other teams opted to stay offshore and try to position best for the new predicted wind from the East. However, most of the fleet opted to stay close to the Sicilian coastline and were rewarded by light but significant land breezes that allowed them to get ahead of us. When we finally got the Easterlies, we worked hard all night to catch up with the leaders and by sunrise we have bettered our position significantly. Getting close to the Messina Straits, our easterly position paid off and we were ahead of BALEARIA but still much behind B2 and Mascalzone Latino, the two leading boats of class 2. Now, in the straits, our fortune died with the wind, and our close class 2 pursuers BALEARIA, Chipa-Lipa and Neo 400/Banks Sails exited the Straits just ahead. 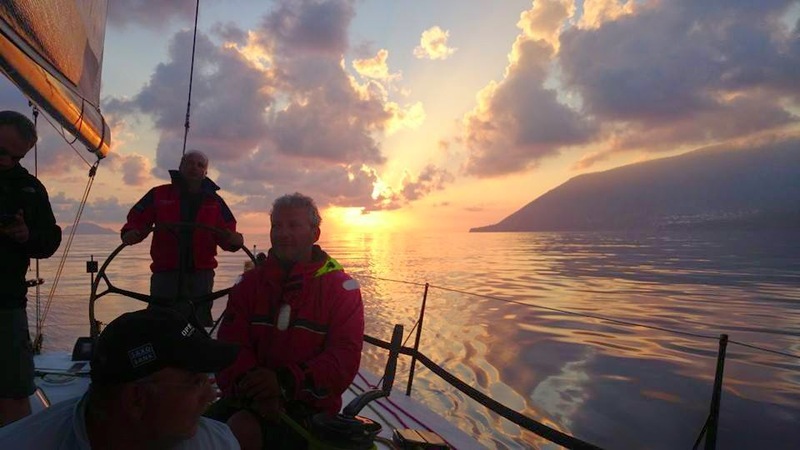 Soon after, we made a good call and gybed first, and by doing this we regained the lead of the second group of boats that have passed Messina. On our way to live volcano island Stromboli which is the next turning mark, we hope that the light conditions will halt the progress of the class 1 boats extending further and an opportunity to us to catch up on class 2 leading boats B2, Mascalzone Latino, Black Pearl and Contakerous. In the meantime, we just found that the spare gas canisters we got on board that we use to cook our food are of the wrong type and don’t fit to the stove… So unless we find a solution, we might get into a serious diet”, says our hungry co-skipper Nick Lazos eating his precious energy bar for Sunday dinner. Stromboli – Sunday, October 19th, 2014, 20:00.